Deeply Agile was founded in 2018 to create spaces where awesomeness can grow and flow. With a focus on shifting cultures out of the old hierarchical, unilateral control into a more Agile, mutual learning way of thinking and being. Its about experiencing yourself … as a leader, as a team member. 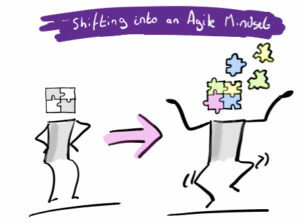 Deeply Agile is about two things, the first is shifting cultures and to do that shifting mindsets and behaviours at an individual and team level. Underpinning Deeply Agile is the work of Simon Sinek. Until we know our why at an individual and team level, we are unable to truly create a path that is deeply satisfying and brings joy into our every day. We bring the ability for team’s and individuals to FIND THEIR WHY and so start to live a more fulfilling life. For more info, click here. We are based in Gauteng …. but yes, we do travel. Our office hours are a little different (as we are normally in workshops), so please feel free to whassap and I will get back to you as soon as I can.